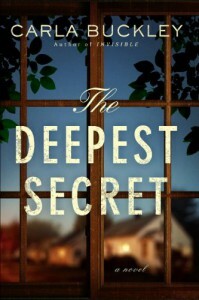 I had NO idea what to expect when I started reading The Deepest Secret. Straight adult contemporary is not a genre I venture into often. I used to read a lot of Jodi Picoult, but it has been many, many years. And yet, I have always said that I read books based on blurb, not genre. If the blurb interests me, I am interested in reading it. First of all, I like learning things. I tried to read a book about XP last year (What We Saw at Night), but I didn't like it. I thought I would try again with this book, and I am glad I did. I have never read a book by this author before, but I will be certain to do that again in the future. I really like Carla Buckley's style. She is great at building atmosphere, and it REALLY felt like the majority of this book was set in the middle of the night. 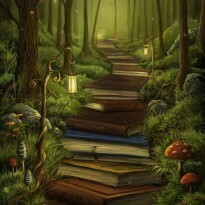 It's not an easy thing to accomplish, making a reader be able to get lost in the book and forget about the world around them. But I sat up at night with this book in my hand for three days, reading and burning the midnight oil. The book gave off a Rear Window by Alfred Hitchcock vibe for a little while there, and I was in LOVE. The Deepest Secret is written in multiple POVs and I know some readers don't like that, but I was completely satisfied with the way they were handled. The voices of each character were different--Eve sounded like a troubled mother who was trying her hardest to keep her son alive, David felt like a disillusioned, lonely father trying to make the best of the living situation he has to deal with, and Tyler REALLY sounds like a restless teenage boy suffering from a terminal illness. I was convinced. And if an author can convince me that their characters really do exist, they can write in TWENTY different POVs, for all I care. The characters were all remarkably well-developed, and even if you don't like them, you will think about them and be invested and question their choices. That said, I had a few small issues, and man they are really small because I so badly wanted to give this book 5 stars but I sat and thought on it for almost 24 hours, and I just couldn't do it. This is primarily a character-driven novel. And I know the blurb makes it seem like that is not the case, it just isn't so. That is not what I am marking the book down for. I had a few pacing issues. The book gets off to a bit of a boring start. There is all this exposition and getting to know the characters going on, and I was never bored, but I do think it could have been shortened. And then...I also felt there were some unnecessary scenes that really didn't add much to the story. It is a bit repetitive at times but I was really invested in the characters (mainly Tyler) so I didn't care about that so much. What I really would have liked to see is a bit of a shorter book by maybe 50 pages. But I don't think it's the type of thing that is going to make you not like the book, because I really still did love it despite that small issue. All in all, this is probably the best book I have read this year so far. It took me away from the world, made me question my moral choices, and wonder how I would react in the situations these characters faced. This is one of those books that I call a thinking book, and there is nothing more that I like than a book that makes me get all philosophical in my head.